Our days are busy, filled with events and activities that encourage joy and vitality in a safe and comfortably-sized environment. It’s truly a fun-loving atmosphere where staff, residents and family members mingle as friends. 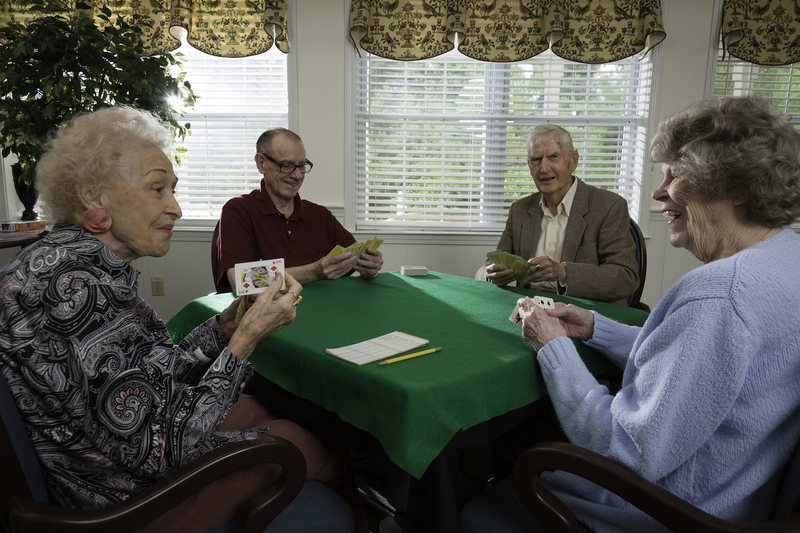 Residents enjoy a variety of opportunities for social engagement and learning at Meadow Glen. And because we take care of all the basics – meals, wellness care, medication management, housekeeping and laundry, residents are free to focus on relationships with family members, time with friends and the individual hobbies and pursuits they enjoy most. Lovely interior courtyard with centerpiece brick fountain, winding walking paths and screened porch. Raised outdoor flowering gardens and a variety of beautiful shade trees. Bright and welcoming sunroom with comfortable wicker seating. At Meadow Glen, we understand mealtime is about more than just food. Our experienced culinary team goes out of its way to ensure residents enjoy fresh, flavorful and healthy meals that are carefully planned and prepared to appeal to a variety of tastes. 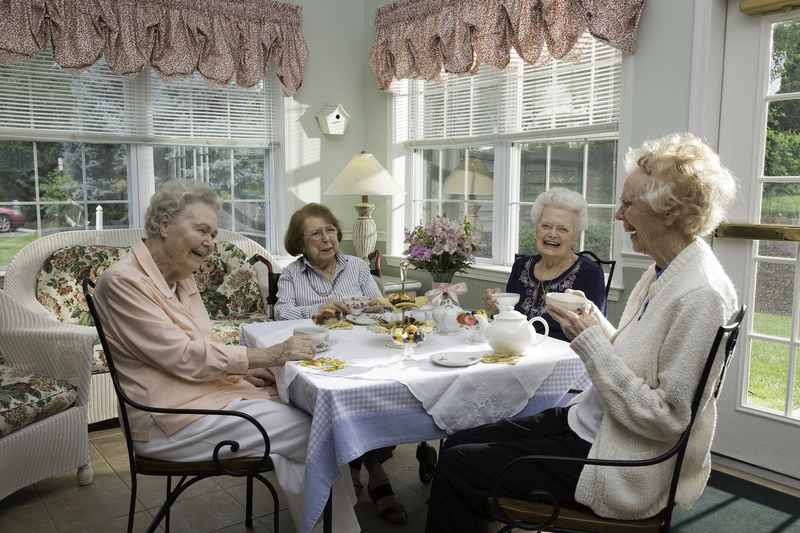 Residents regularly provide input on meals which are served in our elegant dining room. Meadow Glen also offers a private dining room for those who wish to host special celebrations with family and friends. Please contact us for more information on the culinary services at Meadow Glen. A wide variety of events and activities contribute to the comfortable, home-like feeling at Meadow Glen. Whether its arts and education programming, social happenings, local outings, health and fitness offerings, games or opportunities for worship, our residents are engaged and active, making the most of time spent with friends and family. The good times we have at Meadow Glen often are inspired or created by our residents. We ask them regularly for input on the types of events, activities, trips and entertainment they prefer. We turn those ideas into lively experiences. Our staff members are keenly aware of each resident’s lifestyle and preferences and go out of their way to make sure individual needs are met. It’s all part of the relationship-based approach to care you’ll find at Meadow Glen where we are committed to helping seniors live active, joyful lives every day. Please contact us for more information on the many programs and activities available at Meadow Glen.